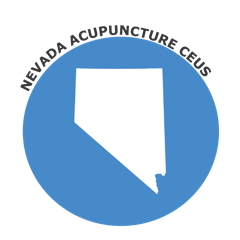 The State of Nevada uses the NCCAOM Examination, however it does not require NCCAOM Certification for licensure. All CEU/PDA courses must be previously approved by the board. If you are an NCCAOM Acupuncture Diplomate and are seeking courses to renew your NCCAOM Certification, please visit the NCCAOM PDA or CEU page for approved courses. 1. Except as otherwise provided in this section, a licensee shall complete, during each calendar year, at least 10 hours of continuing education. 2. A licensee may only receive credit for hours of continuing education in courses that have been approved by the Board pursuant to NAC 634A.137. 3. Beginning with the 2003 calendar year, a licensee who earns more than 10 hours of credit for continuing education in any calendar year may carry forward up to 10 hours of excess credit and apply such excess credit to the educational requirements for the next calendar year if the licensee indicates in writing, at the time he or she submits the form for renewal of his or her license pursuant to NRS 634A.167, that the licensee intends to carry forward such excess credit.